The GX41 is a compact microscope equipped with all the functions required for metallurgical observation. The GX41 has adopted infinity corrected UIS optics while retaining the handiness and mobility of its predecessor the CK40M. Its compact design makes it light enough to carry and be placed alongside the specimen grinder. Among the new features of the GX41 are an improved dust protection and the system expandability. 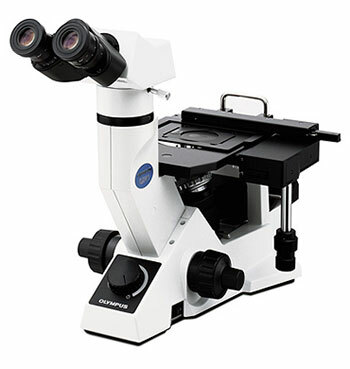 While the basic functions of the microscope are integrated into the frame, the GX41 can be combined with various accessories like digital cameras, discussion units and drawing attachments.